Brown County Indiana is just a tank of gas away. Come get-away to our secluded rental cabins. 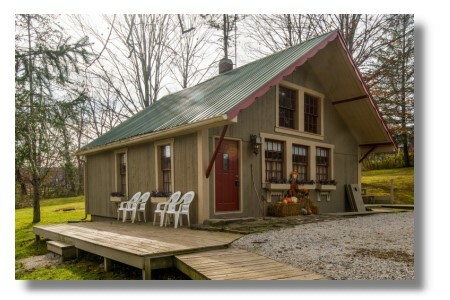 Vacation Cabins located close to the historic artists' colony of Little Nashville Indiana and Brown County State Park, the most popular vacation venue in the midwest. Experience Brown County's scenic beauty and genuine hospitality. Explore the hazy blue hills dotted with log cabins and nature galore. Visit Nashville, a hoosier artists' colony and shop at the many specialty shops. Close by are the quaint village of Nashville, carriage rides, Brown County art galleries, Brown County Playhouse, Brown County State Park, Little Nashville Wedding Chapel, horseback riding, zip lines, hiking trails, Lake Monroe, Mike's Dance Barn, Salt Creek Golf, Edinburgh Outlet Shops, Yellowwood State Forest, Indiana University, and more. There is much to see and do in and around Nashville, Indiana.